DJ♡ASH, Detox Japan ASH: Korea Hate Other Countries. 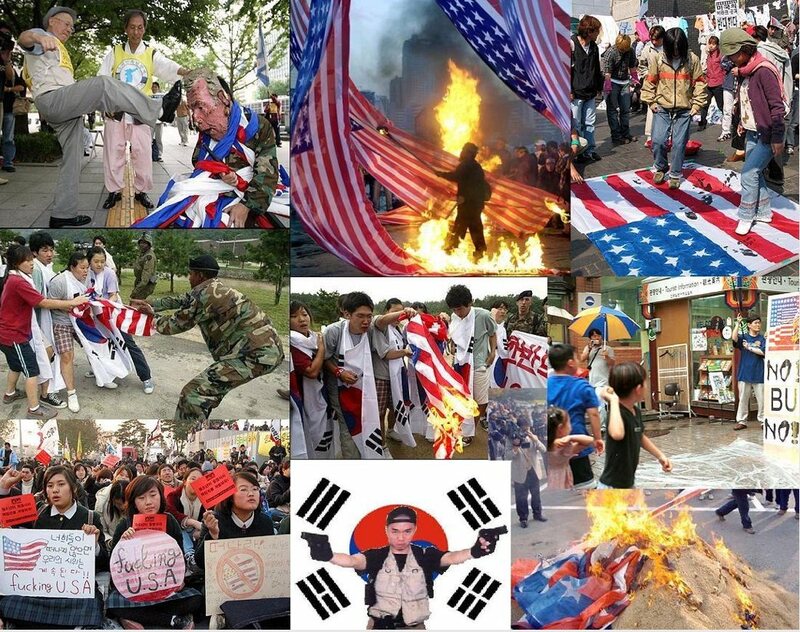 Korea clearly hates its historically supportive country, Japan. Now some news pictures that I found via the Internet shows the fact that the hateful country hate many other countries than Japan. 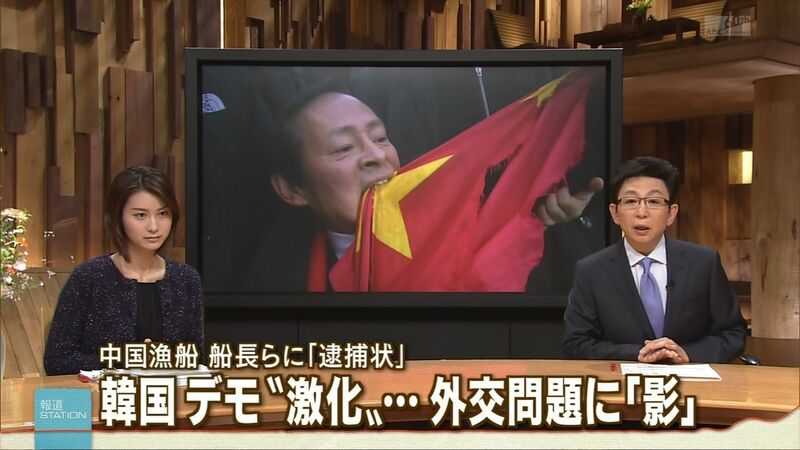 As Korean hates all of their neighbor countries including Japan, Korea clearly hates China either. The hateful country hates the U.S as well. 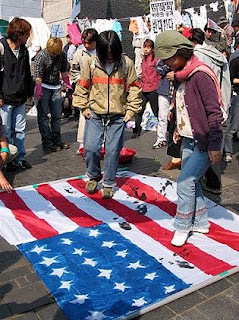 The Korean trample on the American Flag to demonstrate anti-American activity in their country even if their government please them to settle the U.S military base for their national security against their mono-ethnic enemy, North Korea. 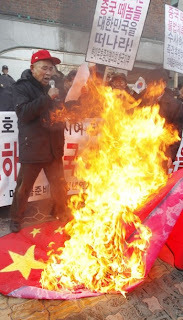 But the Korean shows merely the hateful reaction against their ally's guardian forces. The series of picture shows again how the Korean hates the U.S anyhow by burning the American flag or kicking the Bush doll.